New analytical solutions to water wave radiation by vertical truncated circular cylinders are developed based on linear potential flow theory. Two typical cylinder configurations of a surface-piercing cylinder and a submerged floating cylinder are considered. The multi-term Galerkin method is employed in the solution procedure, in which the fluid velocity on the interface between different regions is expanded into a set of basis function involving the Gegenbauer polynomials, and the cube-root singularity of fluid velocity at the side edges of the truncated cylinders is correctly modeled. The present solutions have the merits of very rapid convergence. The results with six-figure accuracy for added mass and radiation damping can be obtained using a few truncated numbers in the basis function for three motions (surge, heave and roll). The calculated results of the present solutions agree well with that by a higher-order boundary element method solution. 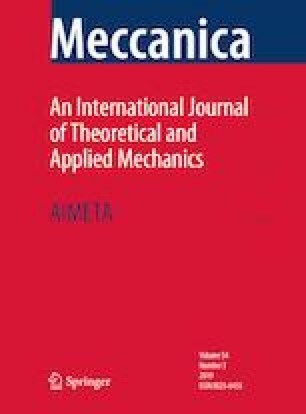 Calculation examples are presented to investigate the influence of the motion frequency on the added mass and the radiation damping of the truncated cylinders with different geometric parameters. The present solutions can be used as a reliable benchmark for numerical solutions to water wave radiation by complicated structures. This study was supported by the Natural Science Foundation of China under Grant Numbers 51725903 and 51490675.